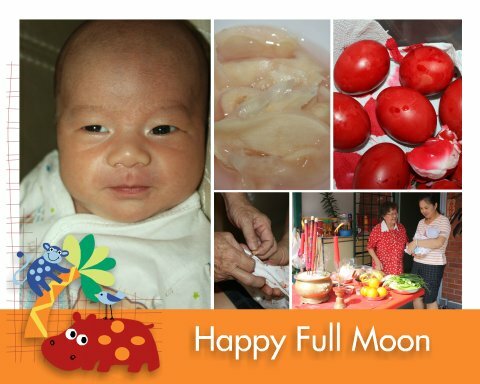 To be fair to our eldest son, we actually do not plan to have any major celebration for Wai boy's full moon instead we just followed back what we had for Kit boy when he was 1 month old. Back to the subject so called the celebration, we just had the prayer done at his grandparents' house early in the morning and followed by a simple KFC dinner with our immediate family members on that weekend. But we will definitely organized a family party to celebrate Wai boy's 1st birthday later next year. So, stay tune. Daddy, Mommy and Kor-kor Kit boy wish you 快高长大, 身体健康, 永远快乐."